Snap-On Smile provides patients with an easy and painless way to obtain a beautiful smile. This process was invented by a dentist who realized that not everyone could afford thousands of dollars to get a Hollywood smile makeover. Constructed of a thin but very strong dental resin, Snap-On Smile fits right over your existing teeth to give you a beautiful, natural looking smile — even if you have stains, chips, gaps or missing teeth. Snap-On Smile is affordable and can be used by patients of all ages — with no drilling or shots. After years of extensive research and development, your White Lake Snap-On Smile dentist can now provide you with a Snap-On Smile that is thin and strong and has the look of natural teeth. You can eat and drink with your Snap-On Smile and it is easy to care for as a temporary or permanent cosmetic solution. This state-of-the-art process is available for both upper and lower teeth. 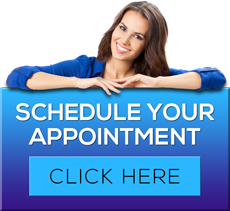 To learn more about White Lake Snap-On Smile dentist James A. Bedor DDS or to request an appointment, please contact us here or call our office directly at 248.698.8330.